As per the latest update from Indian Cryptocurrency market, the largest crypto-exchange platform, Zebpay is soon going to shut down. This action is going to be in response to the Indian central bank’s decision of not allowing the banks to undertake any transaction in relation to the cryptocurrencies. 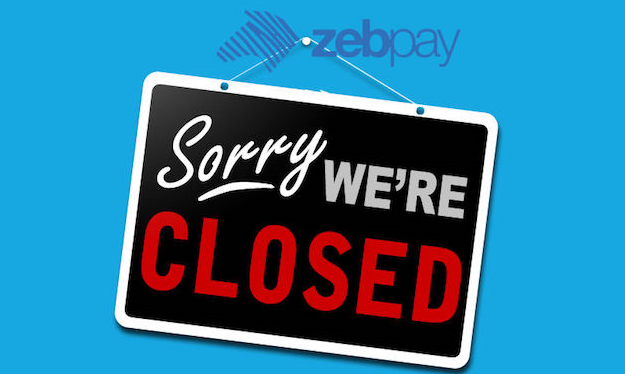 Look What Zebpay has to say about their Decision to shut down? As per the reports, the Zebpay officials define their challenge post the decision of the government to not allow the crypto businesses to operate in India. The officials of Zebpay explained their decision to shut down by explaining how the curb on the bank accounts crippled them and their customers from the ability to carry out the crypto-transactions meaningfully. They also mentioned how they are unable to find a reasonable way to conduct the exchange business in the country. It has been years that RBI has shown no interest in the cryptocurrencies and in fact, have been resilient towards its acceptance. This stance of the bank even got more strong after the price of the bitcoin boomed back in 2017. This decision of Reserve bank of India (RBI) pushed all the crypto exchange platforms to take them to court and engage in the legal battle with them for months. While other crypto-exchange platforms are busy fighting against the decision of RBI, some of these platforms such as Zebpay failed to do so. This is the reason why the news of Zebpay to shut down was officially announced online via blog post. According to the same blog post, the officials of Zebpay also defined how they actually wanted to keep operating in India so that the country does not lag behind in the digital currency industry. Despite its efforts, they stated that with government closing in on the decision of the no crypto-business rule, it is becoming more and more challenging every minute. It is very unfortunate that this largest cryptocurrency exchange platform in India is no longer going to operate. According to them, it is actually becoming very difficult to find a way to operate on the soils of India. Hence, the shutting down. 7 Cryptocurrency Operators cleared to serve Clients – Thai SEC!